I will spotlight ordinary people, who are doing extraordinary things. My Person of the Week is people driven—but from time to time, may feature a celebrity. This week’s My Person of The Week is the beautiful, talented and gifted, Sheila P. Coates, founder and President of Be Your Own Brand (BYOB), based in Los Angeles, CA. Although I knew Sheila as a music executive during our record industry days, I don’t remember exactly when we met. I believe we met during a NBA All-Stars event during her tenure at Perspective Records, where she worked for Jimmy Jam and Terry Lewis. When we first met, I was immediately impressed with her sense of style. Sheila was definitely one of the best dressed record industry executives I’ve ever met, and every time I saw her thereafter, I thought she must be making a whole lot of money because that sister could dress. Years later, I finally had the opportunity to work with Sheila at Arista Records. As many of you know, Arista was, by far, the best record company experience I ever had. I was already at the label when Sheila arrived as the Senior Vice President of Marketing and Artist Development. I was excited when she came. We shared several projects together; two of the projects we shared were recording artists Monica and Deborah Cox. Most people who worked with me at labels knew how protective I was of my artists. Well, Sheila and I initially bumped heads a few times. We didn’t always agree, but we later chalked it up to the fact that we were both very passionate about our projects. I am particularly proud of our work together with Monica. Her career was still in the building process, and both Sheila and I took complete control over her marketing and publicity; and we made a huge impact on the success of her project. Years after I left Arista, Sheila and I remained in contact. At that time, I had started my own company. She was working independently as well. (Another footnote, Sheila was one of the few label executives that always landed a great gig)! And in 2009, we reconnected. During that time, I was an independent consultant for Odyssey Network, a business retreat conference for women of color. Sheila had told me about a program that she wanted to start, titled Be Your Own Brand. It was in its infancy stages. She explained the concept and, although I understood the concept in theory, I didn’t know how she was planning to make it a viable business. At the time, she was feeling very tentative about how it was going to work. As a long-time record executive, she was not quite sure how she was going to make the transition to entrepreneur, but her faith was strong. So, I introduced Sheila to the Odyssey folks and, for two consecutive years, she was a presenter at the conference, working out the kinks and defining her BYOB program. The Odyssey women loved her and she was the rave. I remember on her way to the conference, Sheila told me she needed to get some cards printed before she arrived. She was truly walking by faith. Odyssey was a very successful start for her. After two years at Odyssey, we were in contact periodically. Every time we checked in, I was amazed by all the new developments, her achievements and growth opportunities. Little did I know that BYOB was already a viable company and Sheila was making inroads both nationally and internationally. In 2009, Sheila entered BYOB in an entrepreneurial program with British Airways. She submitted her BYOB proposal to work with young girls in South Africa. She was selected to participate in the British Airways Entrepreneur Training program in London. BYOB also won the British Airways’ Face-to-Face Entrepreneurship Award and Sheila had the opportunity to visit the Oprah Winfrey’s Academy in Johannesburg, South Africa. In 2010, BYOB won a second British Airways’ Face-to-Face contest, for which she had to submit a series of essays. Her company was selected over 1,000 entries. As the winner, she received ten business class tickets to fly to ten destinations to meet and conduct business on behalf of BYOB. Sheila knows it was nothing but God’s love and grace that blessed her company. Endless opportunities continued to pour in for Sheila in 2009. I remember having lunch with her at Odyssey and she talked to me about publishing her first book, Mama Used To Say: Be Your Own Brand, a common sense and practical guide to lessons she learned from her mother, published by Our Little Book. 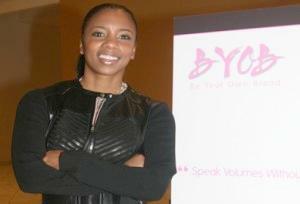 She recently published an E-Guide, 3 Steps to Help You BYOB, available at byobunlimited.com. Sheila recently completed the five month Goldman Sachs’ 10,000 Small Businesses program in partnership with fashion designer Tory Burch and Babson College. Sheila was one of only thirty women out of nearly five hundred entries who were selected for the program. She had to interview with both the Goldman Sachs and Tory Burch teams. “I prayed for four weeks,” says Sheila. She learned a great deal about growing the business and how to become a CGO (Chief Growth Officer). During the program, she developed a BYOB App that she presented to her class. She plans to market the App globally in the coming months. During the program, she was reminded by an associate that if you can work that hard for someone else and you can create marketing for someone else, just think about what you can do for yourself. In BYOB’s six short years, Sheila has already successfully transferred her skills and experience in imaging, marketing, artist development and branding from working with recording artists to working with clients in corporate America and beyond. She teaches her clients what she has taught her recording artists for many years—combining the power of words and images to develop memorable first and lasting impressions. During Sheila’s career of more than 20 years in the record business, she held the position of Senior Vice President at Sony/BMG, Arista Records, EMI/Capitol, Virgin Records, MCA Records, Perspective Records and Hidden Beach Recordings. 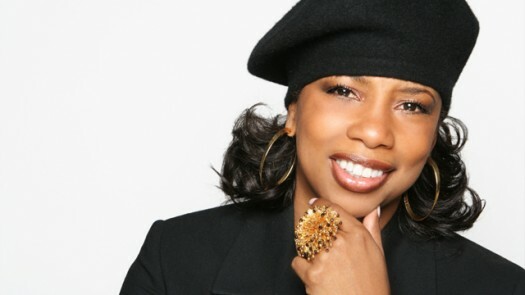 She worked with award-winning and platinum recording artists such as Mary J. Blige, Sean “P. Diddy” Combs, Toni Braxton, Lenny Kravitz, Barry White, Jill Scott, Babyface, Monica, Faith Evans, Kindred, The Family Soul, Angie Stone, Q-Tip, Lalah Hathaway, and many others. The BYOB client list includes Coca-Cola, NBC/Universal, Comcast, Fox Films, WICT (Women in Cable & Television), National Sales Network’s Los Angeles Chapter, and Neutrogena, to name a few. 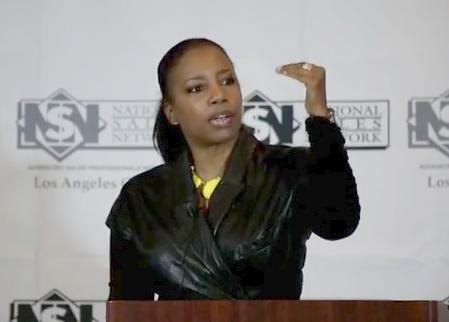 She is a guest lecturer at non-profit conferences and organizations such as Dress for Success, The Kanye West Foundation, Women’s Step Up Network, the Coalition for At-Risk Youth and various high schools. Sheila is a member of Faithful Central Bible Church, where Dr. Kenneth Ulmer is Senior Pastor and Teacher. For more information on Sheila Coates and BYOB, please visit byobunlimited.com. Gwendolyn Quinn is a communications and media specialist. She is the founder of the African-American Public Relations Collective (AAPRC), a national organization of communications professionals. She is also the publisher of the Global Communicator, an e-publication for African-American public relations experts and journalists. 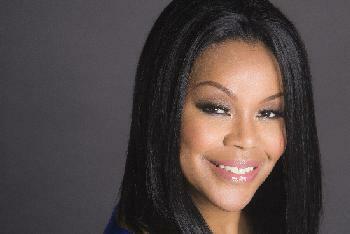 Quinn is the author of EURweb.com’s “Inside Broadway” column. Congratulations to both the author and also the subject of the article. We need to hear more stories like this,I trust you will help that happen. Wonderful article. I believe that when you “bump heads” with Sheila one of two thing can happen, you can get better(at whatever you do) or you can get left behind. It seems that you both are better for the interaction. I must say I found the same to be true when I had a similar experience in our “radio days” as even back then Sheila’s goal was to be the VERY BEST and she accepted nothing less. I think she was teaching us all to build our brand way back then.